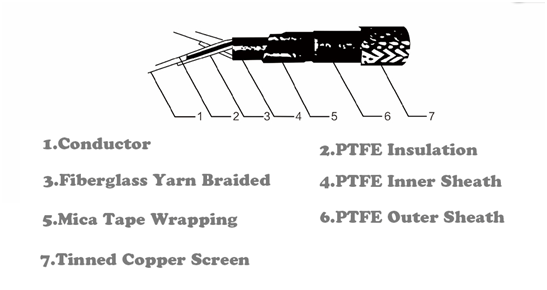 Product categories of Fire Resistant Control Cable, we are specialized manufacturers from China, Fire Resistant Control Cable, Fireproof Control Cable suppliers/factory, wholesale high-quality products of Fireproof Sheathed Control Cables R & D and manufacturing, we have the perfect after-sales service and technical support. Look forward to your cooperation! Fire Resistant Control Cable, a kind of high quality fire resisting performance cable with special formula adding for its protective insulation and jacket such as PTFE ,mica tape or fiberglass yarn.. What makes this cable different from flame retardant cable is that fire resist cable will still keep electrical power on for a certain range of time in case of short circuits or combustion when fire happens. This cable should be used in public places to get a better safety and rescue capability. Our factory is located in Minqing,Fujian. You could choose to fly to Xiamen/Fuzhou International airport. And tell us your flight No. We will arrange to pick you up if you like. To receive a quote, further information or advice, Leen Cable invites you to contact us. And you are also welcome to visit our factory if you would like to get closer to our production line.